Alexandria Ocasio-Cortez will be the youngest woman ever elected into Congress following her midterm election win Tuesday. The 29-year-old New York Democrat skyrocketed into the national spotlight earlier this year after a grassroots campaign and primary victory over 10-term incumbent Rep. Joseph Crowley. 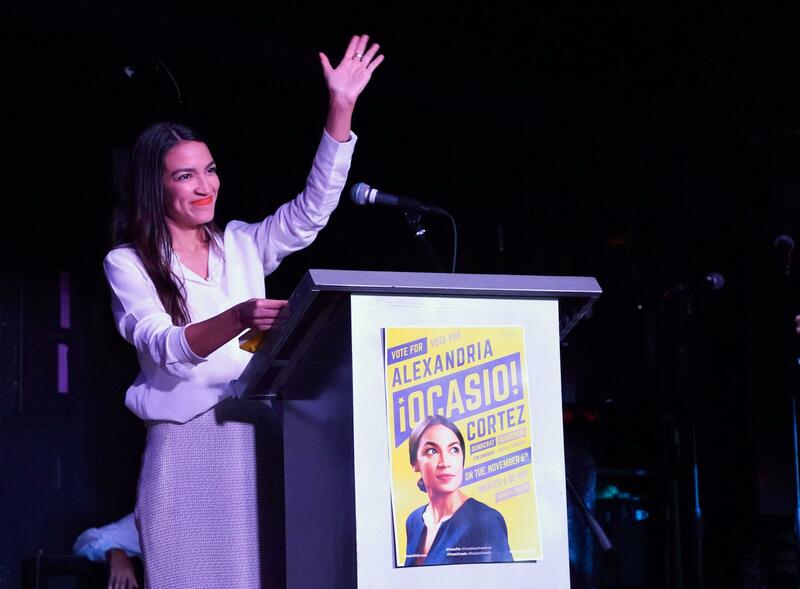 "It is a privilege and an honor to say that we have also elected the youngest woman in American history to serve in Congress," she told supporters in New York City Tuesday night. "This is what is possible when everyday people come together in the collective realization that all our actions no matter how small or how large are powerful, worthwhile, and capable of lasting change." Ocasio-Cortez, who campaigned on a platform that included Medicare for all and free college tuition, told CBS News' "Face The Nation" in July that a populist-style approach "absolutely" brings out new voters. "So for us, this is about inspiring people to the polls, giving them something to vote for, creating hope for this nation, and knowing that so long as there are working class Americans who believe in a prosperous and just future we will have hope, no matter how red the district," she said. She also spent months leading up the midterm elections fundraising and stumping for other progressives, including Michigan's Rashida Tlaib, who became one of the first two Muslim women elected into Congress. Ocasio-Cortez wasn't the only 29-year-old elected last night. Iowa's Abby Finkenauer shares that distinction. But Finkenauer is a few months older and will turn 30 about a week before they're sworn in Jan. 3, 2019. She will represent New York's 14th Congressional district, which covers parts of Queens and the Bronx, and is 50 percent Latino and 70 percent voters of color, according to New York Magazine. As part of her platform, Ocasio-Cortez told CBSN she wanted to defund Immigration and Customs Enforcement (ICE). "ICE was just established in 2003 and it was established outside of the U.S. Department of Justice, so a lot of this disturbing behavior we are seeing – parents can separated from their children, people getting picked up on the street – it's happening outside of the Justice Department," Ocasio-Cortez said in the June interview. A native of the Bronx who attended Boston University, Ocasio-Cortez is a member of the Democratic Socialists of America and a community organizer who worked on Sen. Bernie Sanders' 2016 presidential campaign.